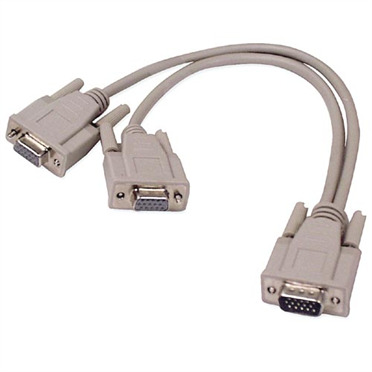 The Pro Series VGA Monitor Signal "Y" Cable allows you to attach two VGA monitors with HDDB15 male ports to one PC with a HDDB15 female port. Perfect for presentation or training purposes. Gold plated copper contacts provide maximum conductivity with no data loss. Aluminum undermold shield helps meet FCC requirements. Flextec™ PVC rubberized cable jacket is extremely flexible for use in tight areas. 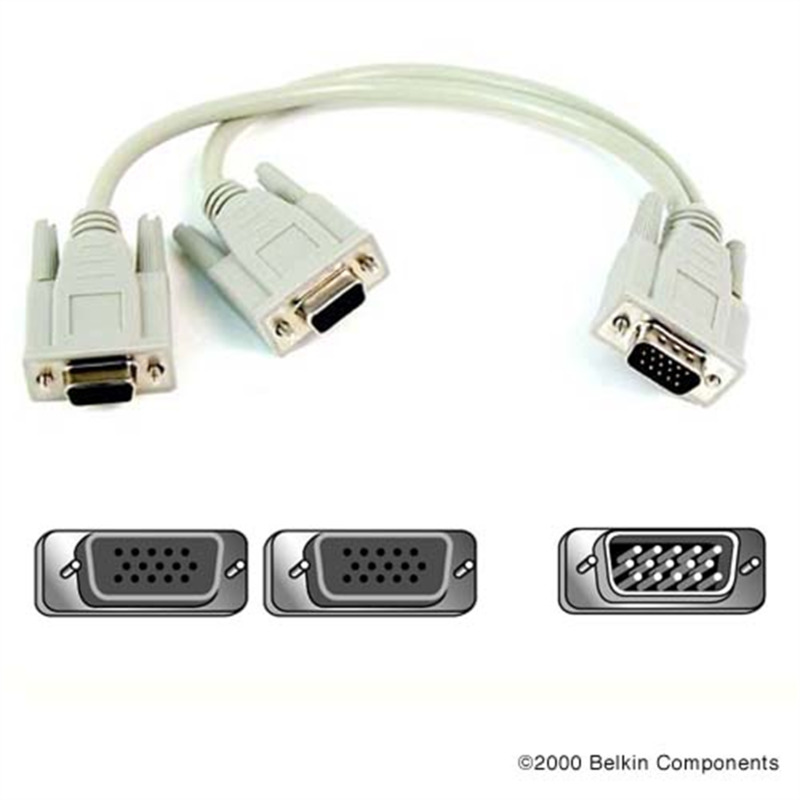 State-of-the-art wiring design ensures 100% compatibility with all devices 100% of the time. Ground indents provide excellent conductivity and retention with mating connectors. PVC premold encapsulates individual conductors to ensure electrical isolation and to eliminate stress.